A summer careers programme which helps boost the employability of students from Wrexham Glyndŵr University has been shortlisted for a professional excellence award. The Make Summer Work for You programme, has been shortlisted in the Supporting Student/ Graduate Employability category for this year’s AGCAS (Association of Graduate Careers Advisory Service) Awards for Excellence. The innovative extracurricular programme works with students over several months – offering flexible careers support and guidance to help strengthen the employability of students post university. Wrexham Glyndwr Work Experience Officer Lucy Jones said the programme takes a different approach to the “traditional kind of programme you might expect from a careers service”. “We ran a series of consultations to find out what our students had to say,” continued Lucy. “Our responses suggested that supporting students’ confidence, wellbeing, and resilience would make a real difference – so we went away and designed a programme that did just that. As part of the programme external support is provided, including from Jo Howarth, an author and inspirational speaker who created the Happiness Club. Jo runs workshops with students to help foster a positive mind-set and increase resilience among the students who take part. She said: “What I have been teaching students in the workshops is to be more resilient – as they progress through their career, they will come up against hard times and pressure – so the more resilient they are, the better. 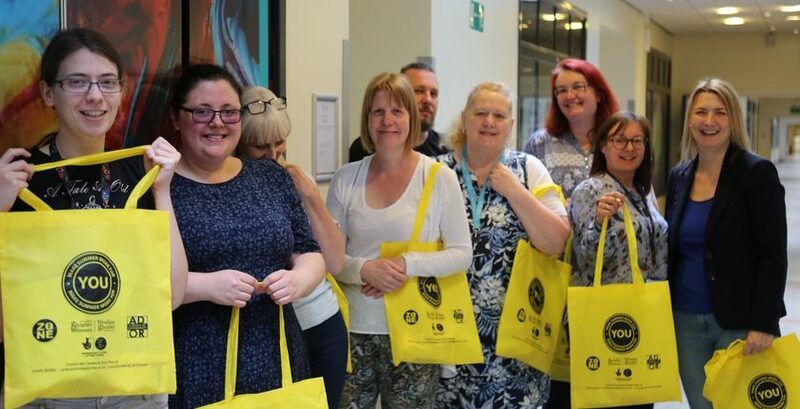 Other courses on offer during the programme included Living Life to the Full, a series of sessions based around Cognitive Behavioural Therapy designed to give participants a range of self-help tools to enable them to face up to employment-related challenges. Wrexham Glyndwr Careers and Employability Adviser Neil Pritchard said: “The Make Summer Work for You programme has been a great success. Students who took part in 2017 said the programme made them feel more positive about themselves or their career – and so far, we are seeing similar levels of success this year. “Listening to student concerns about how wellbeing can affect employment – and acting on those concerns – makes a real difference. Results AGCAS (Association of Graduate Careers Advisory Service) Awards for Excellence will be announced on September 5th. Find out more about Wrexham Glyndŵr University’s Careers Service here.